[SatNews] Videotel, a leader in maritime e-Learning and a company of KVH Industries, Inc., (Nasdaq: KVHI), has announced plans to continually update its training programs via KVH’s IP-MobileCast TRAININGlink, a move that has the potential to transform maritime training at sea. Videotel’s new continual improvement model of application and content updating will be implemented for its flagship products Videotel on Demand (VOD) and Networked Videotel on Demand (NVOD) by utilizing the multicasting technology of KVH’s IP-MobileCast content delivery service. 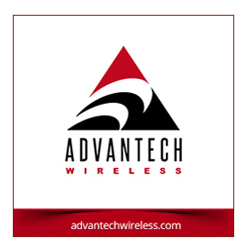 Subscribers to VOD and NVOD who are also customers of KVH’s mini-VSAT Broadband service and IP-MobileCast content delivery service will receive new training material as soon as it is released, with free delivery over their broadband connection. This is an unparalleled improvement over current practices, where annual training program updates must be sent by CD-ROM or USB stick via courier, which can often involve an average time of one to three months to reach a vessel. The VOD system is a computer-based solution for crew training and records management onboard ship; the NVOD enables access across the vessel’s network system allowing multiple users to train simultaneously on different or the same subjects, with all training being recorded. With the immediacy of the IP-MobileCast delivery method, Videotel can more effectively help maritime operators keep their crew training completely up to date. Good training, an essential element of any industry, can be particularly challenging to implement in the maritime industry because of the logistics involved in reaching mariners. The fact that the shipping industry faces complex maritime regulations, ship inspections, and company audits makes it even more critical that ships keep their crews current with effective, high-quality training. 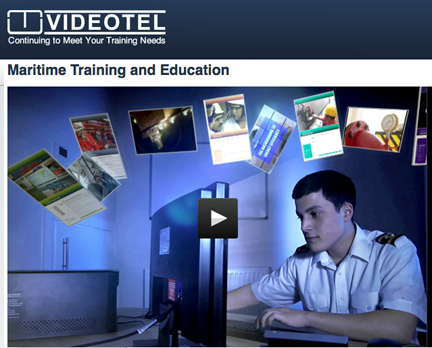 Videotel’s training solutions are currently available onboard more than 11,000 vessels worldwide. In addition to an extensive portfolio of training films, Videotel’s platform also includes recording and reporting management software, enabling shipping companies to monitor and track training of their crews using cloud-based technology.